Hamilton’s Design Review Panel Debates 40-Storey Proposal for Rebecca Street, Positive on Plan, but Debates How Tall is Too Tall? “It will be an iconic building, its a daring building”, one member of Hamilton’s Design Review Panel said praising the design of Sonoma Homes‘ proposed 40-storey building on Rebecca Street between John Street and Catharine Street. At July’s DPR meeting, Sonoma Homes presented their plans for a 371 residential unit condominium tower measuring 121.5 metres in height at 71 Rebecca Street. If built, the structure will be the second tallest building in Hamilton. Overall, DRP was very positive about the proposal, its design, and the developers plan to integrate with the proposed John and Rebecca park. Being a large group of top level experts, there were differing opinion as another stated “It’s not an icon building, it’s a condo!”. 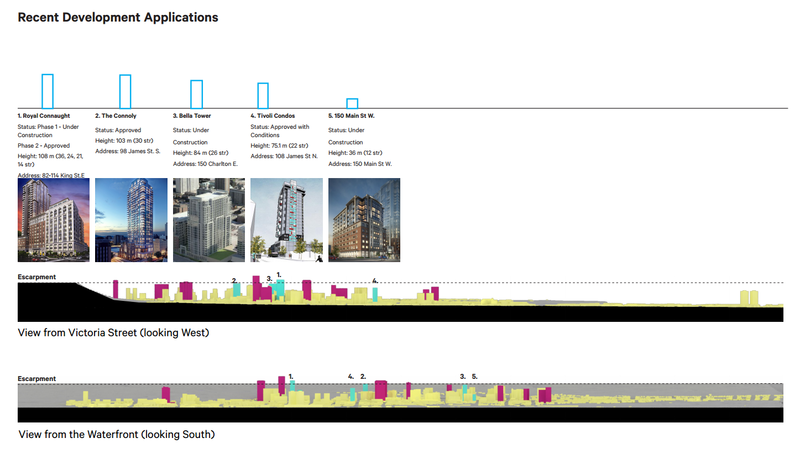 DRP members were split on the height, with most members supportive based upon design, and others holding firm to a viewpoint that 30-storeys or the Niagara Escarpment should be the limit for residential buildings in Hamilton’s Downtown. 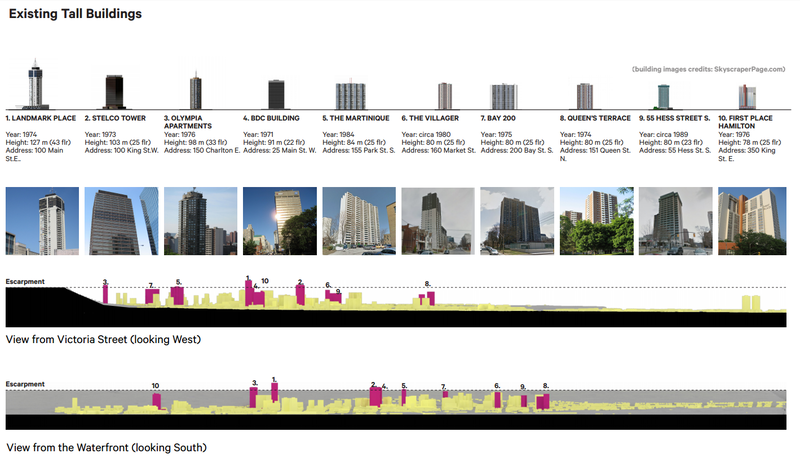 Hamilton has a handful of buildings taller than 30-storeys, and the Niagara Escarpment. Landmark Place (formerly known as the Century 21 Building) is 127 metres in height. Presently, Hamilton’s second tallest building is the Stelco Tower at 103 metres. The tower being built at 22 George Street is planned for 106 metres, and was approved as a “minor variance” of 84 metres above the zoning of 22 metres. Phase 2 of the Royal Connaught project is approved for 108 metres, and The Connolly (which is now in receivership) is approved for 103 metres. Brad Lamb is proposing two towers of 30 and 40 storeys for his Television City development. He is planning higher ceilings on his floor, which will likely make the 40-storey tower the tallest building in Hamilton if built. “The building is out of scale for height, I see no rational for height above 30 storeys”. 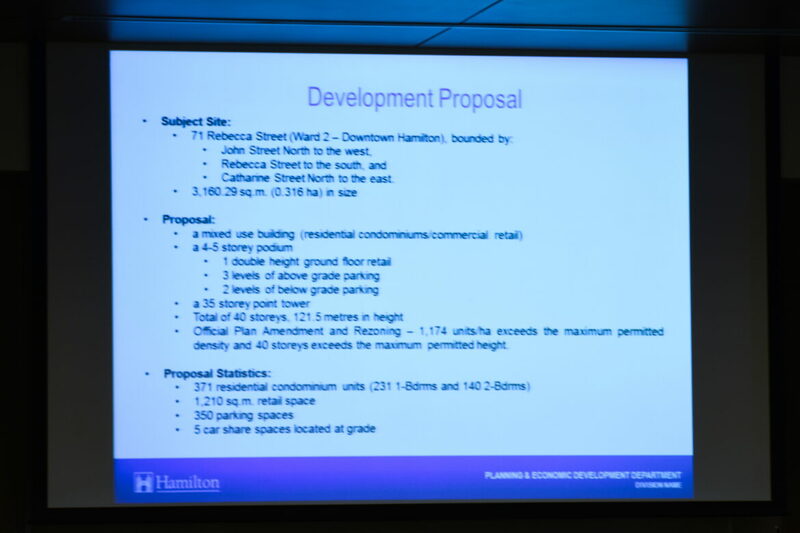 The relatively short discussion of height focused on the proposed building being taller than the escarpment. City Hall is indicating that the escarpment will be a new height limit once the long awaited Tall Buildings Policy is brought forth for Council approval. Since that time, the 22 George Street project was approved as a “minor variance” at a height above the escarpment. Project architect David Premi of dpai argued that the use of the escarpment does not consider impact and design. He showed renderings of the building’s impact on the skyline as viewed from the Skyway Bridge, saying the tower does not overpower the escarpment and a city of Hamilton’s size should have tall buildings such as the proposal it downtown core. Members mostly praised the overall design, with critiques of specific elements. DPR members support the proposals plan to integration ground floor retail with the expected park across the street, the developer hopes to create a pedestrian friendly zoning – including redoing Rebecca Street to be even leveled to the park. The proposed 4 to 5 storey podium is 90 metres long, the DRP members noted the tall building guidelines call for 70 metres. They suggest the podium needs more vertical design to visually divide the massing, to compensation for the length. The developer is proposing a LED screen on the side of the building to support movie nights and civic gatherings in the park. DRP was supportive, with the condition that no advertising be allowed on the LED. The developer has filed their completed planning application to the City, The Public Record is awaiting staff review of the application before attending the Planning Department to review the file. The Beasley Neighbourhood Association has met with the developer, and members of the Association were very supportive of the project and proposed design. The developer plans to return to the Beasley Neighbourhood Association this fall. 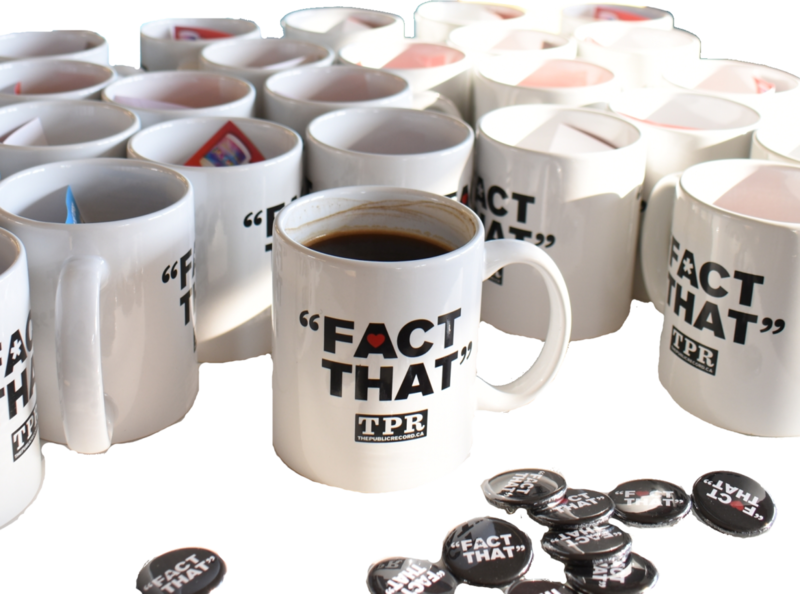 Note: The Public Record does not have a high-quality rendering of the proposal at the time of publication. We’ve requested a rendering from the architect, who is seeking permission from their client. DISCLOSURE: The Public Record rents office space in The Seedworks, the same office building as the architectural firm. Story author Joey Coleman is a member of the Beasley Neighbourhood Association. Hamilton Rental Housing Committee "Dancing on the Head of a Pin"